The Nikon EXO Binocular Shield system integrates a lightweight exoskeleton shell that provides incredibly fast access. In conjunction with the harness’s quick-release attachment cords that hold the optic securely in place, EXO offers protection of the eyepiece lenses even when the over-flap is not secured. Rear cellphone pocket has built-in microfiber cleaning cloth for keeping lenses smudge-free. Exo skeleton case attaches to FreeStyle Harness. 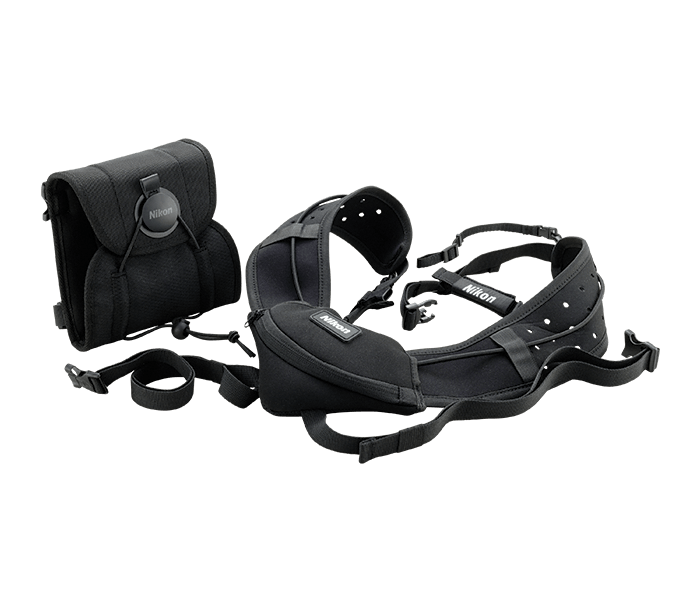 Fully adjustable harness with quick-release attachment cords. Holds your optic close to the chest while running or crawling. Allows fast access for glassing. Comfortably distributes your optics weight during long miles afield. Ventilated yoke integrates a stowaway hydration net to accommodate your own hydration bladder.